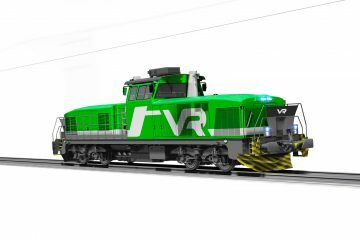 Hungarian regional operator GYSEV and Stadler signed a contract for the delivery of ten four-car FLIRT3 type electric multiple units for regional operation. 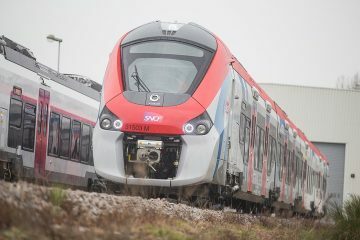 The first vehicles are expected to start service in 2018 in Western Hungary. 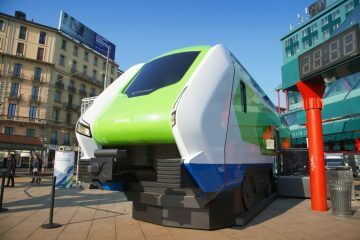 GYSEV issued an open public procurement for 10 low-floor electric multiple units in April this year. 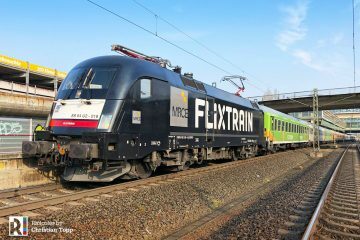 The winner of the procurement was a Stadler Consortium formed by Stadler Polska and Stadler Bussnang, the Polish and Swiss subsidiaries of the group. 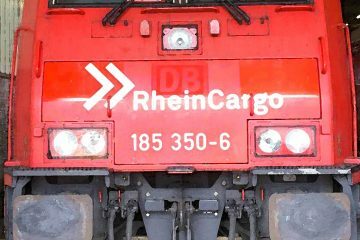 The first train will be delivered in March 2018 while the last one is due to arrive in January 2019. Railcolor: Since December 2013, GySEV is operating FLIRT trains from Stadler. In 2012, GySEV ordered four four-car sets, series 415 500-503. Later six more trains were purchased, series 415 505-509. These are operated on the Sopron-Szombathely-Szentgotthárd, Sopron-Győr and the Szombathely-Rajka lines in Hungary. The new vehicles for Gysev meet the requirements of the newest TSI (technical specification for interoperability) standards and the EN 15227 crash collision norms. The new vehicles are 2.8 m longer than the first generation models, giving room for another classic toilet in addition to the one which meets TSI PRM standards for people with reduced mobility. The 77.1 m long and 2.82 m wide four-car EMUs have altogether 208 seats (194 fixed and 14 folding). Their maximum speed is 160 km/h, while their acceleration capacity is 1.2 m/s2 which means they will be able to speed up from 0 to 120 km/h in only 39 seconds. The GySEV FLIRT3 also feature spacious, multifunctional boarding areas that enable rapid passenger exchange. Thanks to the multifunctional areas and the 90% low-floor share, the vehicles are easily approachable by passengers with wheelchairs, bicycles and strollers. 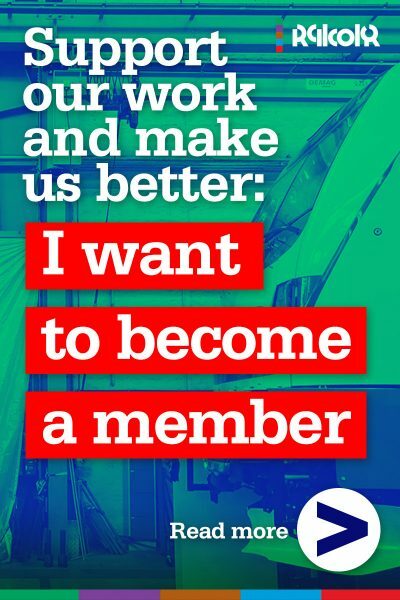 Meeting the requirements of today’s standards, the vehicles are provided with air conditioner, camera system, WIFI, charging facilities for electronic devices, as well as box seats suitable for regional transport. 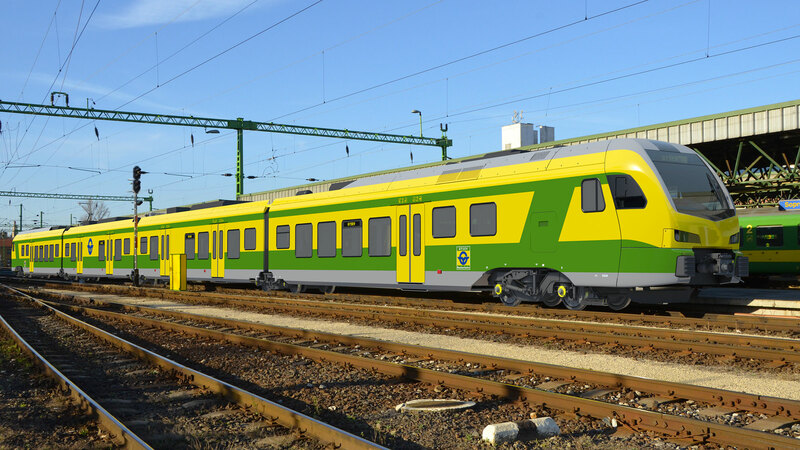 A large portion of GYSEV’s order is to be fulfilled in Hungary, all of the 40 carbodies will be manufactured in Stadler’s factory located in Szolnok. 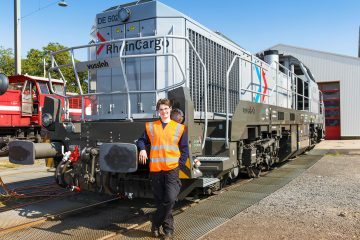 Due to the latest investments, not only the carbodies but also the bogies can completely be produced in Hungary. 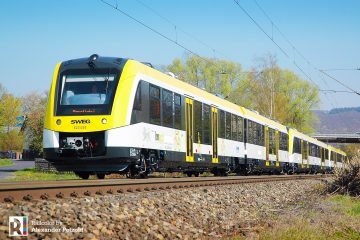 Similarly to the earlier GYSEV orders, final assembly of the new trains will take place in Stadler’s plant in Poland, Siedlce. The new EMUs will also be able to operate in synchronous operation with the earlier purchased FLIRT models. The project’s value is 68.45 million EUR and is financed entirely from EU funds.